Loved this! Very creative concept and good level design. I just wish there was more there, it was over too quickly! We thank you for the testing and the comment, and don't worry! A new pack of stages is being made and will sure prolong the game, be certain! The few amount of stages is due to the deadline of the Jam - we really ran out of time to make more stages, but, in the pack, new stuff will be brought inside the stages taking the rotation effect to more interesting ways of playability and puzzle-solving strategies. So take a look on it when we bring the upgrades! Great concept and execution of the jam's theme. 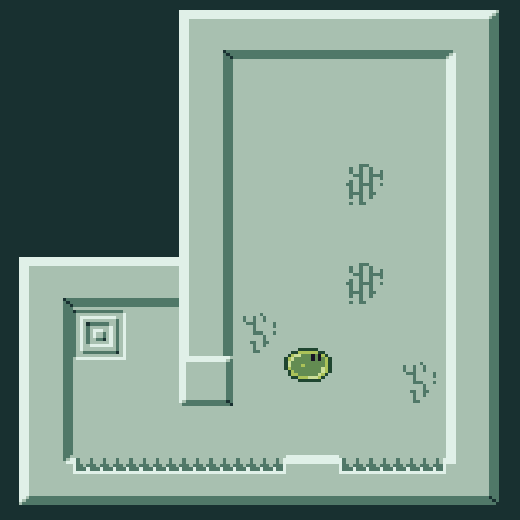 Collision detection should be improved, and I didn't make use of the jump mechanic. 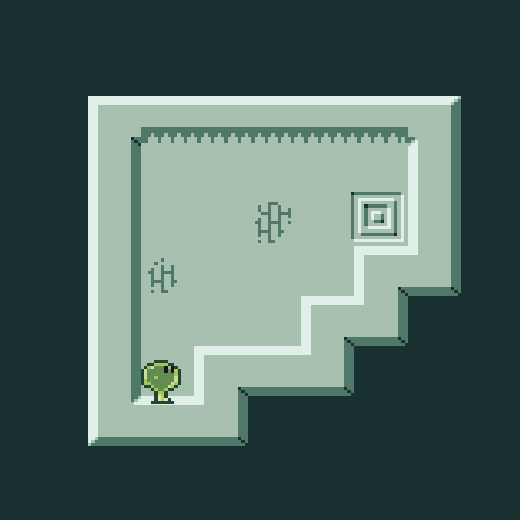 I hope to see more levels and mechanics in a post-jam version. I liked the graphics but missed the sound effects and music. I'm glad to see you used Godot to make the game. Oh, we appreciate all these advices and troubles found by playing our game. Indeed, it's possible to finish the game without the jumping skill, but we prefered to let some plattformer details to emphasize the genre. Godot, as many says, is a good game engine for prototyping and, once you're familiarized with it, take part upon a Jam is pretty fun and confortable; we recomend this engine wherever we Jam. Thanks for the help with the feedback and let's see the Slow Ride guy! Good Luck! The windows file says FliperLinux.exe, this is confusing. And I strongly recommend you putting the .exe and the .pck files together in a .rar or .zip file for next updates/projects, this can be something that throws people of your game. I work with Godot too, so I know it needs the .pck file in the same folder, but not everyone knows. Anyway, just some advice. The idea is nice and the character sprite is great! But you got to fix those collisions! And sometimes the game just stops responding the inputs. You bet! The lacking of the .pck file was a bad thing, and also we didn't had so much contact with the procedure of export the complete game - it was new to us, indeed. But, thankfully, we had the insight to provide more options to play the game, and the HTML version saved our skin! It's our recommended way to test the game in the Jam's avaliation period to be judged within the Jam rules, and, as soon as the period ends, we'll be back with the proper .zip file. Thank you for the testing, the advice and the recommendations; everything will be counted in our future improvements! Oh, and let's make Godot gains space in the Jams! Very creative / intuitive. Excellent level design though the game froze on the fourth level. All in all great job! Thanks for the testing and comment! I'd say we let less than 5% of the Jam to design the levels - the basic mechanics really took a long time to get acceptable in our concepts. But, due to our Game Designer's encouragement, we arranged some time to complete 4 levels, and they were really good to show our efforts so far. We are preparing a new pack of stages (they were actually ready to be added to the game during the Jam, but we choose to finish the game before the deadline), so just you wait and we'll be back with a complete and improved version! Good idea, however the spikes collisions are a bit to big making it hard were you fall near it. Yes, our team took the rotation effect and level design as priority while the jam was going on. Our next step on the jam should be, without doubt, more "directive" - correcting the collisions, upgrading tiles and reform the motion flow - but we sought seriously the goal of achieve the concept idea until the very end, and we liked the way it got! We're so grateful for your feedback and these topics you helped us to rise up for future improvements. Thanks! The only problem I had was the very sensitive hitbox! aside from that, everything's good! Yes! It was complicated enough hold everything in 48h, and we ended up packing the game lacking of some BGM. But, right now, we are improving every detail of it, adding new stuff, new concepts, new interesting mechanics for the rotation effect over other objects, and many other things. We thank you a lot for the feedback and be certain your impressions will help us to improve our concept with a better execution! Firefox HTML version seemed to work for me. It crashed once, but ended up working. I like the concept. I feel like I may have seen it before, but it's still good! I could easily see it being on the nintendo switch eshop if it was fleshed out more. Add some more puzzle elements. 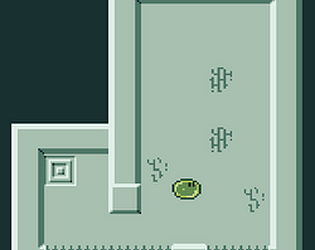 Or maybe just pure platforming, but have certain items/enemies be affected by the rotation as well. It has potential for sure. Thanks for testing our game! We had a lot of insights in that way (about adding some other objects that can be affected by the rotation and gravity variation), but we didn't try to explore so many aspects of the Platformer genre - the rotation effect was a full time challenge for our second Game Jam! We're glad to be able to conclude a game although the little gaps, and we'll be working on fixing it as soon as possible; the ideas around what we achieve are very scalable and we will agregate your impressions and tips in that work. thanks for the reply! it really was a great concept well executed. just wanted to give my opinion. if you do end up developing it further i hope it goes well! Now that I've managed to access the game, I see some pretty well-considered intent behind it. It DOES function, and once you get it functioning it seems to work more or less fine. In terms of execution, hit detection seems a bit dodgy; it was regularly unclear that a given trajectory was going to touch spikes, and there were multiple times that I was 100% sure I was going to land safely, only to be taken back to the beginning of the stage. The idea is here though, and it's a pretty good one! The access issues notwithstanding, it seems like mostly what this game needs is tweaks and some minor redesigns to really be a success, design-wise. 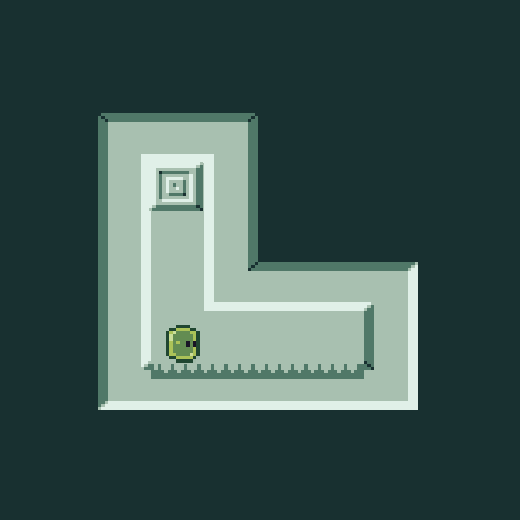 Your level design was enough to show that it has legs and I'd be excited to see what else you could do with the concept. The screenshots look really intruiging, for this game, so it's all the more upsetting that it doesn't seem to be in a working state, a hundredfold for the creator, I'm sure. I tried running every version of the game, but wasnt able to get any of them working. The most successful verison was the .html version, which made a thing happen, but unfortunately only manifested as "failed loading file Fliperlinux.wasm"
Mysteriously, Firefox didn't work for me last night, but this morning I got a title screen! You're not the first game from this jam that ths has happened to me for, so I'll get to taking a proper look at it later today and update my comment & review as appropriate. We thank you a lot for these tips and feedback, and be certain this project will be properly fixed and continued!! Can't get it to work on windows 10--the windows download seems to download the Linux version of the file and none of the downloads seem to download a windows version. I tried opening the executable file anyways in the first version, but it did not run. It didn't work in Chrome for me when I tried it yesterday, but it did work in Firefox right now. Thanks!